Whether you decide to update your online store or build one from scratch, you are likely to be looking for a trendy and attractive design. If you are running a creative business (like an art gallery, print shop, design studio, etc. ), you would certainly want it to look as catchy and breathtaking as possible. 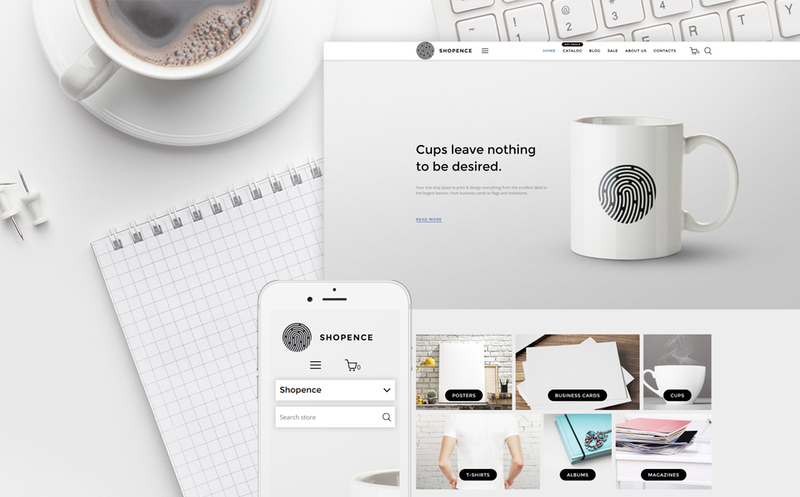 This is when a collection of ready-made eCommerce themes for creative businesses can come in handy, for inspiration or if you happen to purchase one directly. It’s no secret that building a website with the help of a ready-made theme can save you a sizeable amount of cash. Compared to custom-made web designs, pre-made themes allow you to launch in the shortest period of time imaginable. As a rule, they also come loaded with all features needed to personalize ready-made layouts in the way that will match your brand identity. Getting your creative business on the web is a proven way to grow your brand’s public recognition. Adding eCommerce functionality is a no-brainer these days as it will help you reach a wider audience of potential clients and grow your sales figures. Whatever the eCommerce platform you choose, making a functional and user-friendly website is paramount. You should also take care of making every piece of content fully responsive to all screen sizes and compatible with modern web browsers. TemplateMonster (yes, them again) provides a rich collection of ready-made themes suited for a lot of use cases. Their inventory includes themes/templates for Shopify, OpenCart, PrestaShop, Magento, MotoCMS, and more. Whether you are planning to launch a website for a small or a large-sized business, there is always an appropriate pre-designed theme. The compilation of eCommerce themes that are listed below includes pre-built templates enhanced with all customization options you may need. They are all well documented, designed following the latest web standards, SEO-friendly, user-oriented, and come with free 24/7 support. You can tweak them easily yourself, or hire a skilled team of professionals on the Web Design Studios Catalogue. Artworker is the first PrestaShop theme launched on the marketplace, featuring both gallery and store modes in one pack. A vibrant design will make your business more noticeable. All elements of the template are fully editable. Mega Layout Builder and a handful of pre-designed layout options provide for a worry-free theme customization. A collection of premium plugins is available for free use. 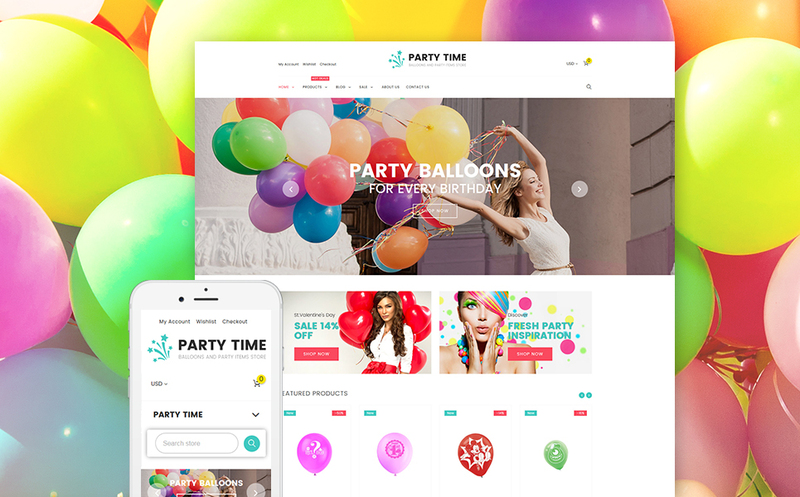 PartyTime is a responsive Shopify theme, which will be a perfect fit for the presentation of entertainment, games, and nightlife sites. It features a clean and spacious layout, which brings the store’s products in the spotlight. First-time visitors to your site will feel the ease of coming across the desired items thanks to the functional MegaMenu and advanced product filters. The theme is also integrated with a blog, which lets you keep the web audience updated on the latest news and trends. 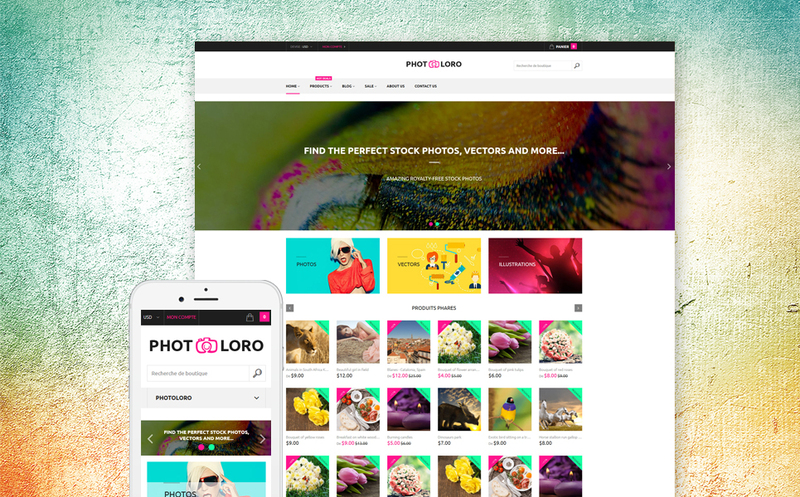 PhotoLoro theme will be a perfect match for the presentation of stock photography businesses on the web. It features Lazy Load effect, which is intended to handle content-heavy web projects perfectly well. The template runs on the fully responsive Bootstrap framework, which makes every piece of content and design element of the web store adapt to all screen sizes automatically. Whenever you wish to personalize the theme’s layout, this can be achieved by means of the theme color switcher, custom page templates, advanced dashboard, and other handy solutions. Design and decor studio websites will look eye-catching when created on the basis of this PrestaShop template. Thanks to the integration of TM Mega Layout module, the layout of the template can be tweaked without the necessity to touch a line of code. You simply work in the intuitive drag-and-drop page builder. The theme is integrated with a collection of custom TM modules, which allows you to save $250 on the purchase of premium extensions for your site. 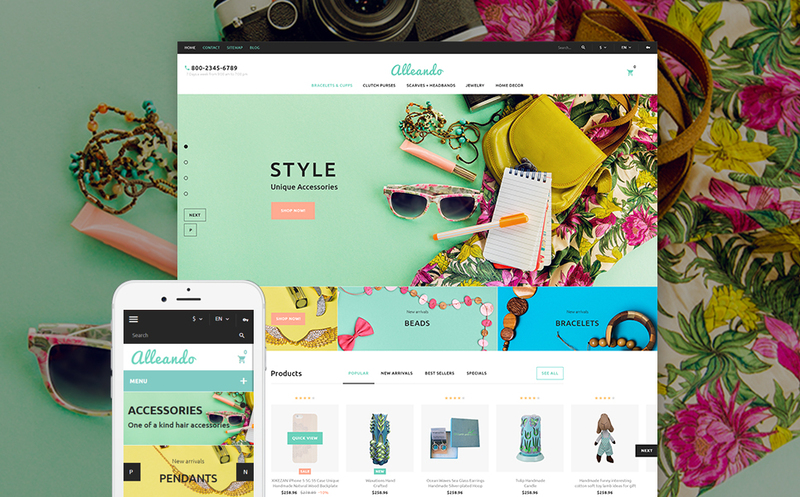 This theme will be a perfect pick for art stores and other eCommerce sites representing creative businesses. A fully responsive framework will adapt all content to all screen sizes imaginable. The theme is enhanced with advanced search and smart product filtering options. 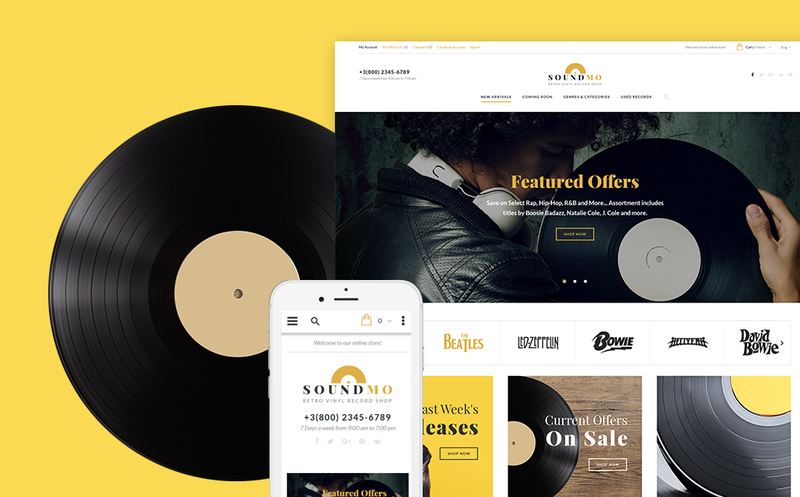 The theme will be a perfect match for eCommerce sites selling audio products. Featuring elements of retro style, it is particularly ideal for vinyl shops. 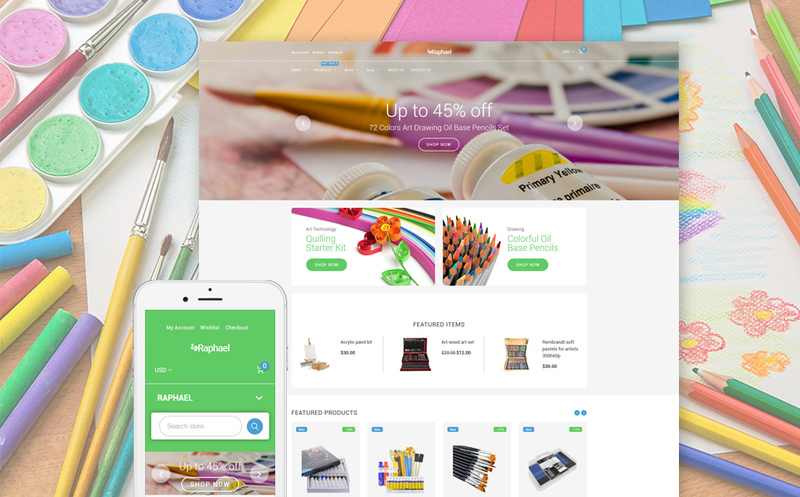 It includes product carousels, brands, product badges, MegaMenu, and a handful of custom Magento modules, which you can use at no extra cost. The template was made as lightweight as possible so the site will load fast. As with all other templates featured here, it comes with 24/7 tech support and great guidance. 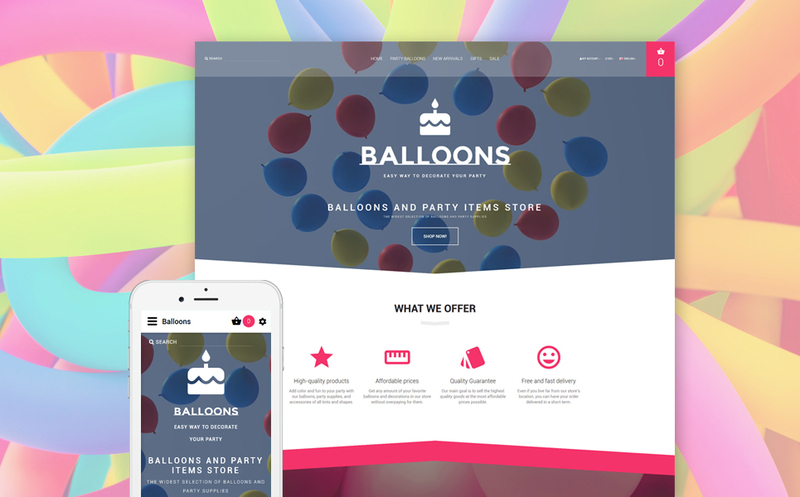 Use this theme to launch creative balloons stores. 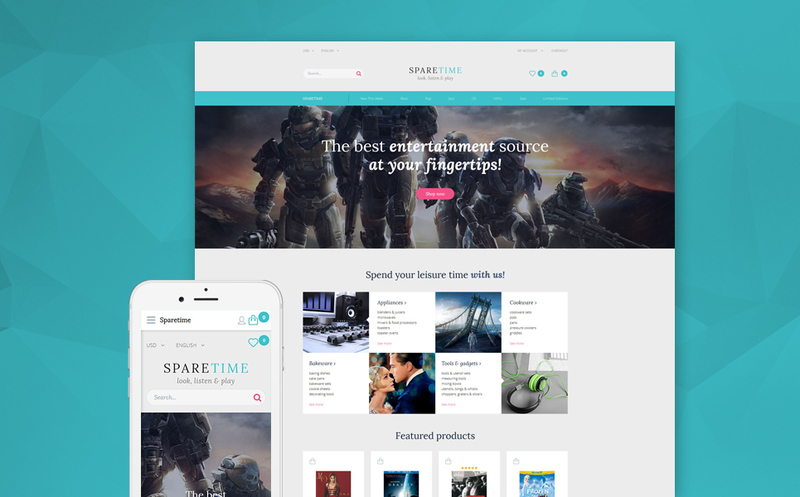 It features a clean design, which is enhanced with the parallax scrolling animation. Background videos are also included to let the web users enjoy a more interactive browsing experience. With an Ajax-based functionality, visitors will see search results as they type in the search request, watch items added to the shopping cart, etc. Product quick view functionality reveals product details with a click on the product on the preview page. 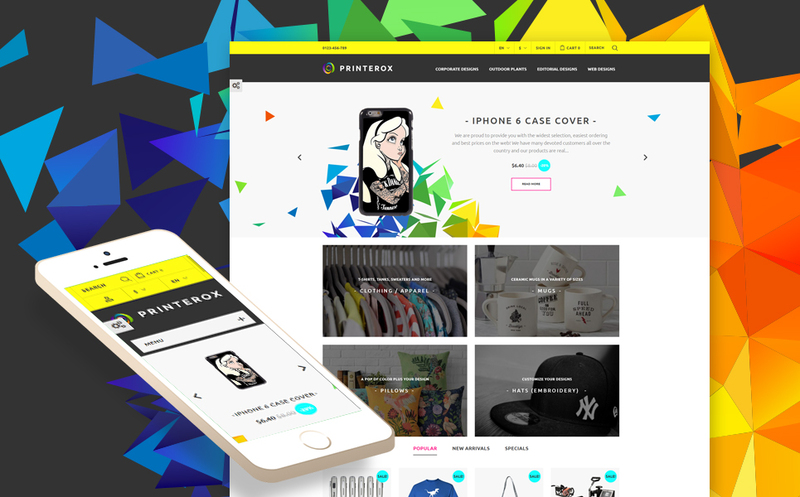 Preinterox is a fully responsive PrestaShop template, which is intended to be used for print and art shops. Its well-balanced layout is spacious enough to present different types of content in a user-friendly manner. The availability of 8 custom PrestaShop modules lets you save up to $400 on buying advanced features for your web store. For a more streamlined navigation, the theme is enhanced with MegaMenu and creative hover animation effects. 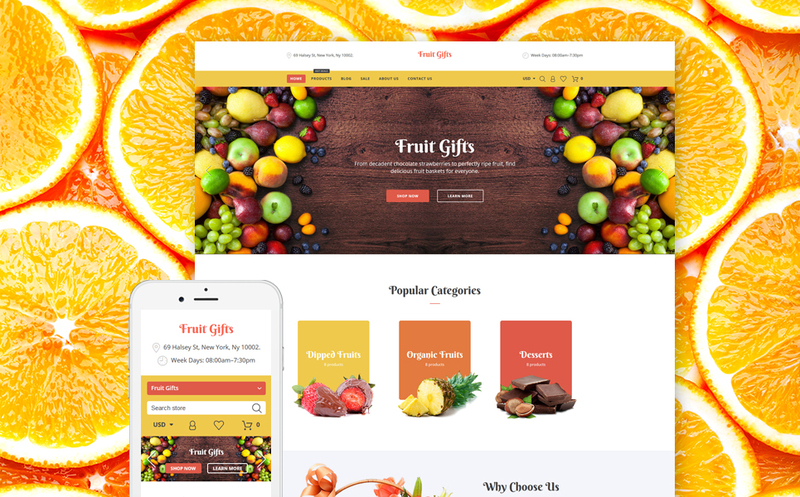 Fruit Gifts is a perfect starting point for fruit shops. 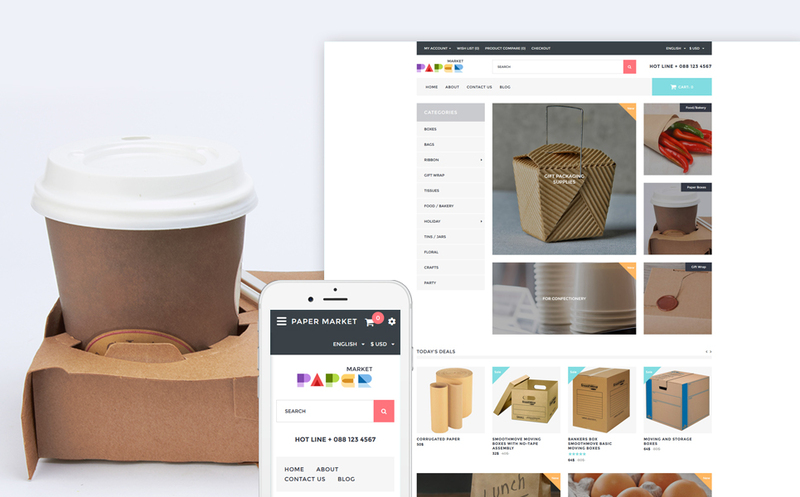 If you need a fast loading and SEO-friendly solution for any food and drink related website, go for this elegant Shopify website template. Its responsive design offers a perfect user experience. Detailed documentation, as well as free round-the-clock support, are included. 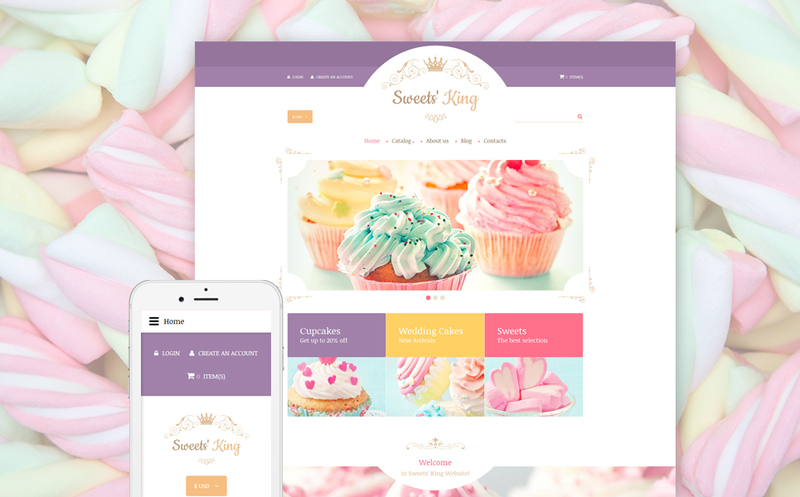 This particular Sweet Shop VirtueMart template can become a robust framework for a great site. Click on the live demo button to check this template in action. The configuration can be tweaked easily thanks to its feature-rich dashboard. If you are promoting games and nightlife businesses, here is a great theme to offer your services on the Internet. You can be sure that your website will run effortlessly on any device. This template is also richly documented and provides high-quality round-the-clock assistance. This specific tennis Bootstrap-based template is a highly effective solution that can adjust to any given function. 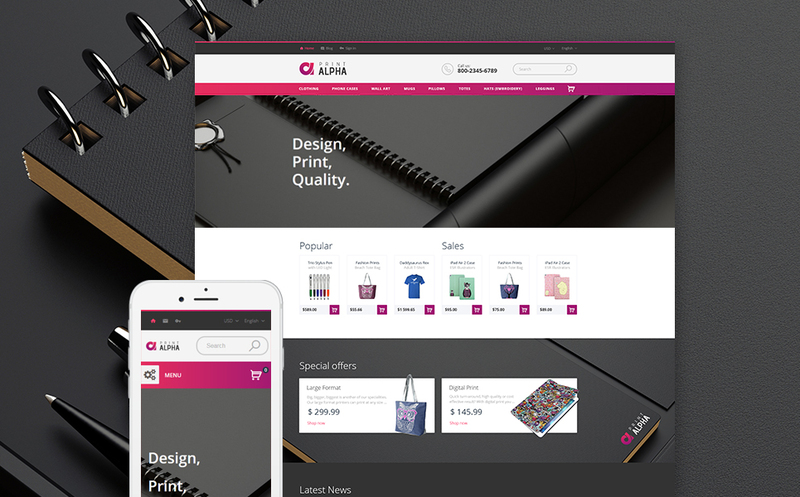 If you are in search of a professional, user-friendly option for your gifts shop, look no further than this responsive template, which follows the newest design and usability trends. Owing to custom post types, every page of your Internet site will have an exceptional look. Its management will not take you lots of efforts due to valid coding and clear guides. Neat code and well-done documentation will help you in transforming this web theme exactly how you need. This unique Shopify template for printing companies will motivate visitors to know more about you. It has a powerful admin panel that allows controlling almost any element of the design, like the color palette, fonts, backgrounds, structure, and so on. Fooder is an all-in-one solution intended to be used for cafe and restaurant sites. It features online ordering functionality. 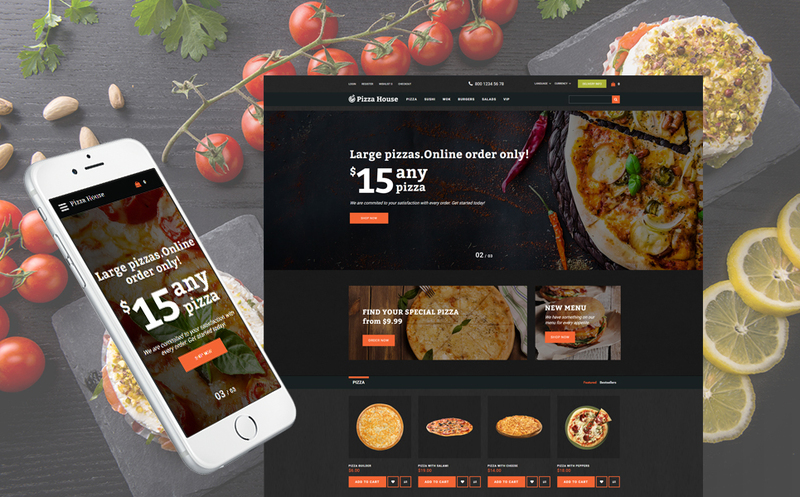 The theme is integrated with a product builder feature, letting online customers pick the ingredients for their pizza, hamburger or any other dish. The theme is also integrated with a delivery system. People can calculate the exact cost of the delivery of their order, as well as choose the delivery date and location. This packaging OpenCart website design is full of tools and effects that promise an unmatched functionality and a refreshing style. Fully responsive, it will show nicely on any handheld device. Check it out now! 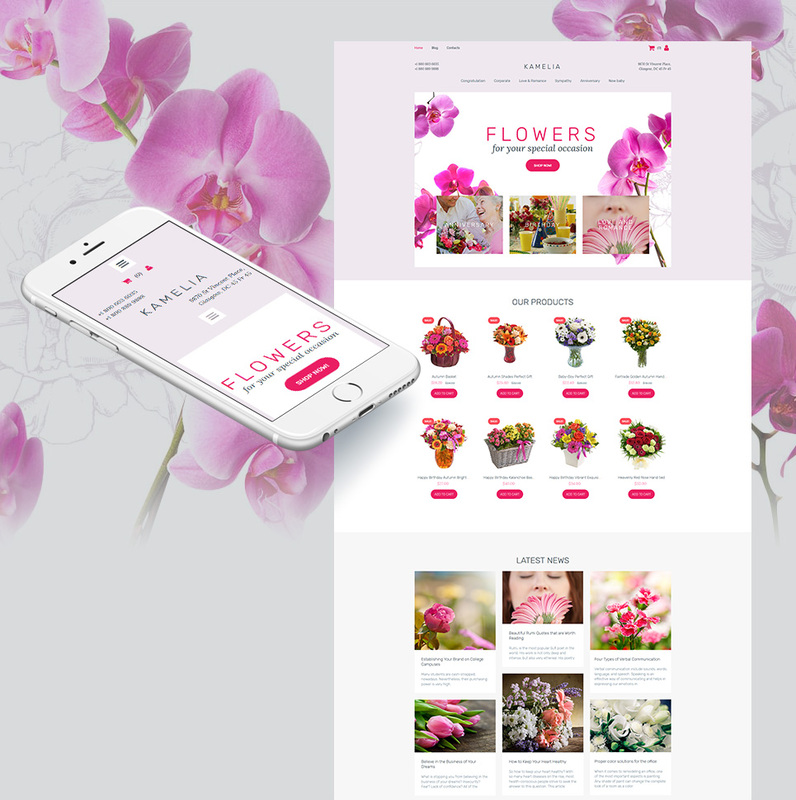 The Flower Shop MotoCMS template is a great choice for flower shops. Elegant code and explicit guidelines will help you in enhancing this ready-made website design the way you need. A built-in drag-and-drop page builder lets even non-techies achieve the desired look & feel without extra help. 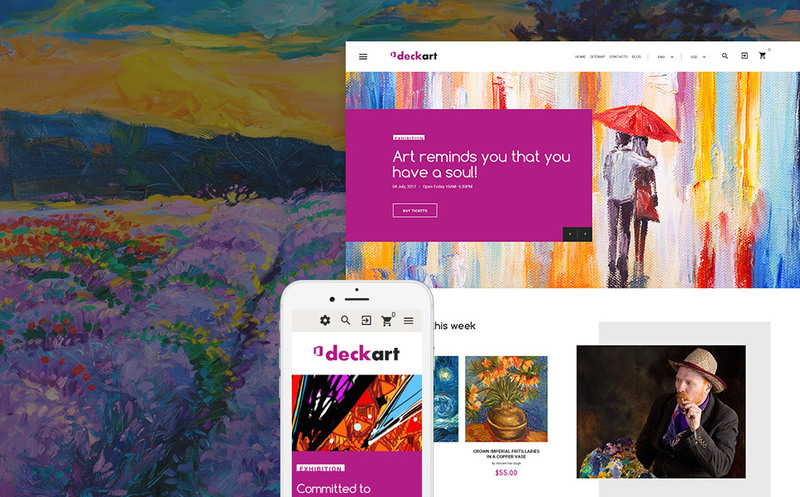 DeckArt is a fully responsive PrestaShop template integrated with TM Meg Layout Builder. 3 pre-built layouts are included in the download package for free. The theme is also loaded with a collection of premium extensions, which are available for free. You can save as much as $655 on the purchase of separate extensions to build your perfect art gallery site.